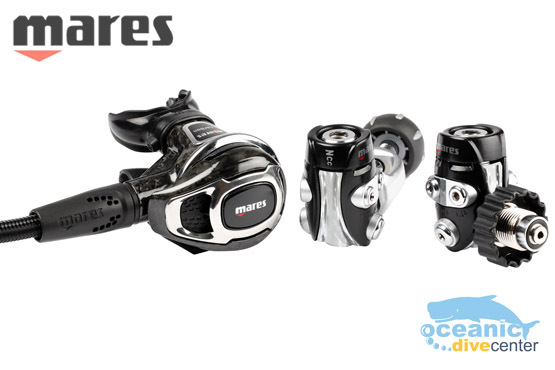 The Mares Carbon 52 regulator is a super lightweight reg made from carbon fibre that is perfect for any type of diving. 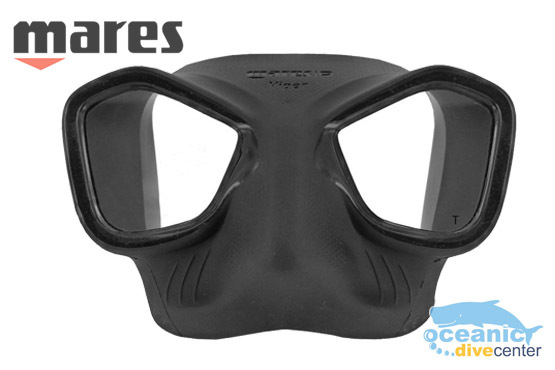 The Mares Carbon 52 Reg uses carbon technology to prevent the dry mouth effect at the end of a dive and the NCC increases performance in cold water. This Mares regulator features the double DFC system that allows two divers to breathe at the same time which is totally unique. 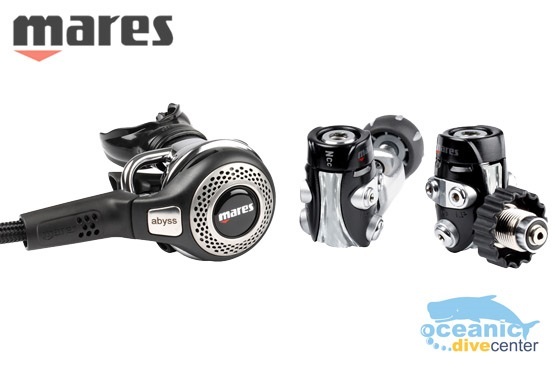 The Mares 52 Abyss Reg is available with the compact top performer MR52 first stage:the best for a unique high calibre set up. Double DFC system provides a consistent flow of air at any depth, even when breathing simultaneously from both the primary second stage and the octopus. The NCC system and the design of the Abyss second stage with more metal on the front cover, allows this combination to achieve very high performance in cold water. Pre-oriented pressure ports for an ideal placement of hoses even using two independent regulators. 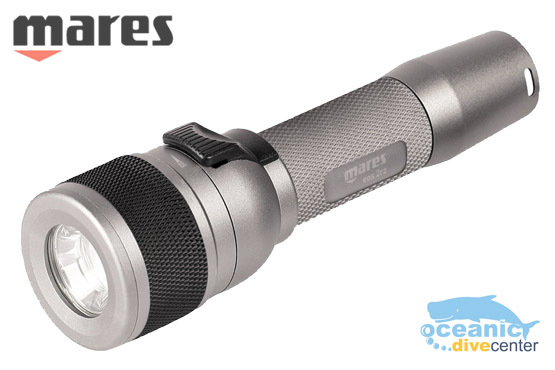 Extremely lightweight and compact, the Mares EOS 4RZ Dive Torch is the ideal companion for any type of dive. A genuine tested 400 lumens of power for a solid 150 minutes of burn-time. Featuring a multi-function magnetic switch (ON, LOW, FLASH and OFF) and an innovative focus adjustment system. During the dive it can be used to illuminate a very broad surface, or penetrate deep into the water. Recharge it with a simple USB cable. The glowing LED charge indicator signals when the torch is fully recharged. This takes just 4.5 hours. Adjustable strap for fastening safely to the wrist. 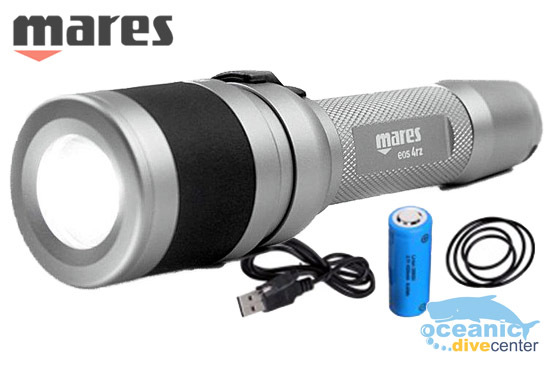 The Mares EOS 2RZ Dive Torch is arguably the most powerful, rechargeable, adjustable focus handheld VERY LIGHTWEIGHT pocket torch on the market today. Made from light corrosion resistant aluminium combined with the compact size makes this a perfect backup torch to be kept in a pocket. 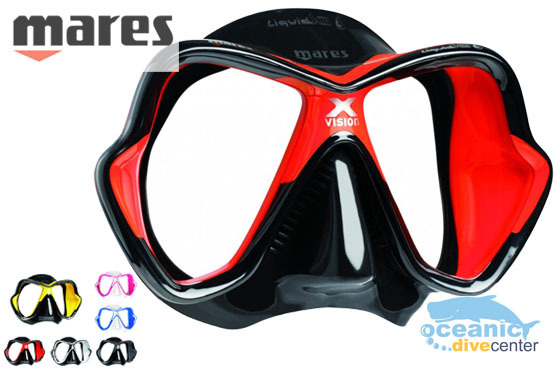 The Mares X-Vision LiquidSkin Mask a superb redesigned version of perhaps Mares’ most popular diving and snorkelling mask ever produced. 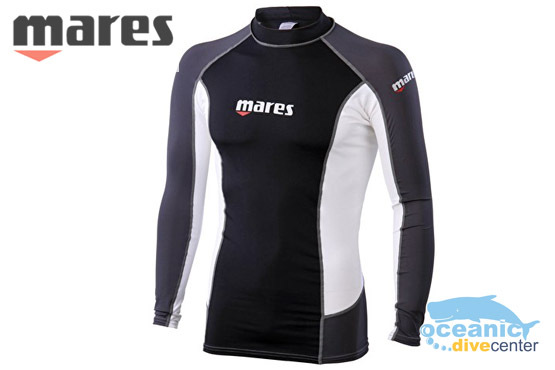 The updated Mens Trilastic Long Sleeve Rash Guard from Mares is ideal to increase warmth, offer protection or just for sun protection whilst in the water.